Newly redesigned Norbert’s Floor Training Bars are just the thing to teach and practice squat ons, handstands, pirouettes, push ups, etc. These bars are portable, make spotting easy and reduce beginner’s concerns when learning handstands and stalls above the bar. 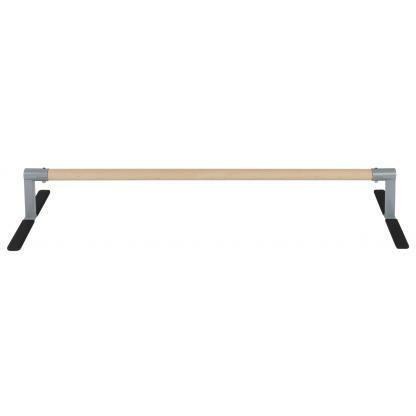 Maple wood rails are attached to sturdy welded steel bases. This model works especially well with handstand trainer bunji-type devices. Bar is 6″ high and 48″ long and holds up to 80 lbs. 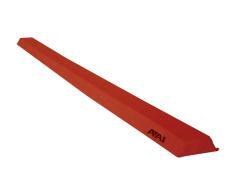 Low profile support legs measure 18″ long.